As an advertising agency, part of our job is to keep our clients up-to-date on late-breaking availabilities, good deals, and what’s newly possible. Sometimes it’s a homepage takeover, sometimes it’s a full page print ad, and sometimes it’s a prominent billboard. 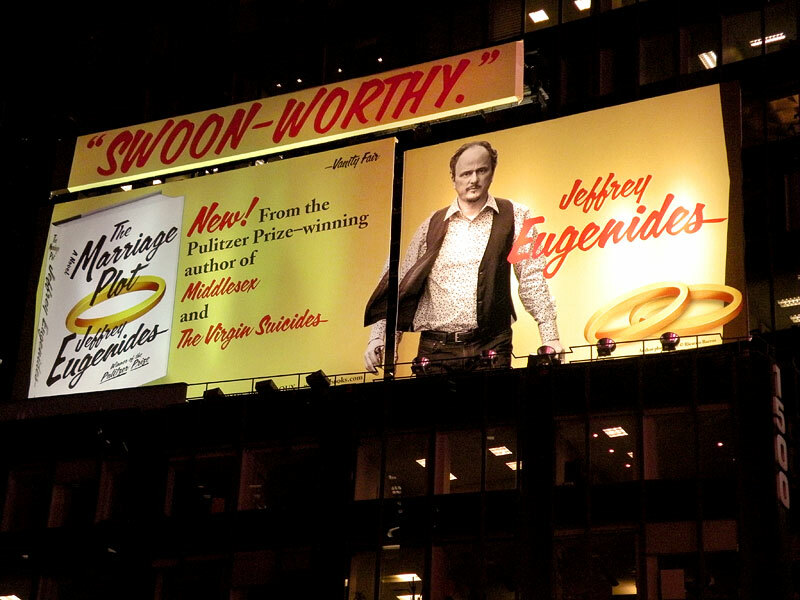 We are big fans of Jeffrey Eugenides’ work and his latest book in particular. 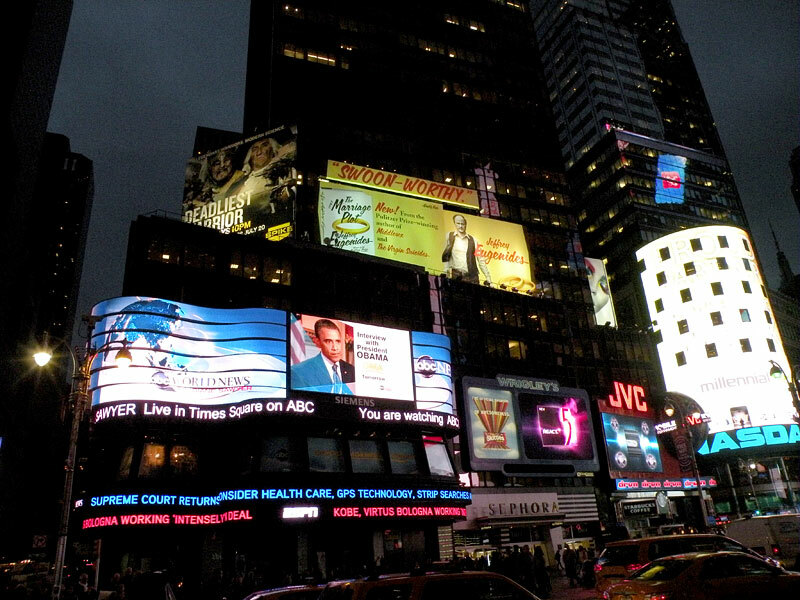 So we were thrilled when Farrar, Straus and Giroux gave us the go-ahead for a Times Square billboard for his amazing new novel, “The Marriage Plot.” OK, maybe a little surprised, but FSG has always been good at keeping us on our toes. Our design and production team had a blast working on the creative. Check it out for yourself. And read the book. It really is THAT good.